"New India Packers And Movers" in the Market? Packers And Movers in Pune Services : Safe and Reliable Relocation Service; Reasonable Rates, Quality Service, On-Time Delivery, Experienced Staff, Trust Worthy Company, Daily Service and Branches Across All Major Cities Across India. Packers And Movers in Pune – If you are planning to move your household goods than we are the best service provider among thousand packers and movers in Pune. As you all know shifting house is very complicated task every time, but don’t worry we make it easy without disturbing your daily routine. What is special towards us? How do we transport your house goods? When do we deliver your goods once you Handovered with us? Why from New India Packers And Movers in Pune? You can schedule a visit at your door step for best quotation and for packing and moving tips. Once deal is fixed we ensure our clients to hide their valuable things in the locker for safety. Also goods packed will be locked by their own lock and keys with them. On the day of shifting our professionals will come with all required packing materials. Packing of goods will be done under supervision for quality purpose. We ensure all the packing’s are done in systematic ways so that it can be easily identified. For crockery sets we use special kind of packing techniques to avoid damages and scratches. Every cartons will be named and numbered Eg. Kitchen Items etc. Before moving to the next step i.e. loading all cartons and items are counted and maintained in list. Our professionals will load the goods with systematic arrangements in the vehicle. If in case any vehicle to be transported with your goods, we transport with complete safety along with it. Once moved from source you will be updated through SMS/ Phone with tracking number for further tracking your goods. At your destination our professionals will unload and will arrange your goods as per your requirement. Expert in Household Goods, Vehicle Transportation Across India. New India Packers And Movers in Pune is one of the most trusted packers and movers in Pune. Who provide complete door to door Household goods services. Especially relevant for Packing, Loading, Transportation, Unloading, Unpacking, Warehouse and Storage, Insurance across all over India. Providing all these services since from a decade. With strong innovative solutions to client requirements by having a strong network of quality with experienced people. Apart from household goods services, packers and movers in pune also provide Bike transportation, Car transportation, bike packing and moving across the country. We have trained employees specially for bike pick up(normal/ super bikes/ scooty), bike packing and bike transport services. In the middle of this metropolitan Pune city, New India packers and movers have built a rapport for providing best services compare to others. We have experienced employees who are well qualified and have good experience in lifting and uplifting goods who take cares of every edges to prevent damages. Click Here For More Info…. For Packing of goods we use quality material that made us one of the best packers and movers in pune company in Pune, Maharashtra. All these we offer at cost effective and affordable rates in and from Pune rather than other packers and movers service provider. Household shifting should be well planned and requires to take care of each and every aspect of site. So, Our service is available for 24*7 hours call and get relax by availing our services. Safe packing is ensured by using quality materials for packaging the goods like cargo sheet, bubble sheet, wooden boxes especially for glasses for long route. cartoon box, stretch film roll etc. For crockery we wrap it with paper than by bubble sheet and then by stretch film rolls to avoid any gap between them to prevent from crack. New India Packers And Movers in Pune. 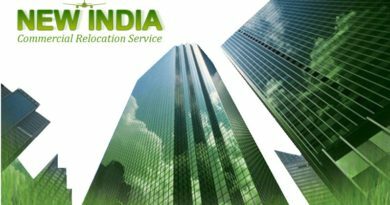 An ISO 9001:2008 certified company is a final stop solution to all packing and moving problems to a new location in Pune or outside Pune and as well as nationwide. For complete guidelines our executive will call and arrange a meeting for shifting plan. And will discuss and advice in details with our clients to the door step during our preliminary planning. Hence will ensures trouble free shifting with 100% punctuality, timely delivery, securely and comfortable relocation. Hence, NIPM ensures of efficient and reliable professional packing & moving service with safe transportation of your household goods, office shifting, industrial move, storage and insurance. For household goods we provide services like mantling and dismantling service specially done by our owned carpenter. So, it makes our clients more tension free for finding the carpenter. Why NIPM, the most important thing is ISO certified you can blindly believe in us. Besides that we have practically proven one of the best service provider in pune. Finally we believe in best. Branches are more important in this field for tracking of goods, for storage of goods, prevents delay of goods, and many more. 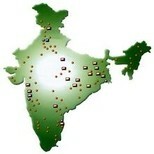 So, we have our branches across the major cities in India. We provide especially relevant Packers And Movers services from Pune to and from to all major cities across the country. Cities are Mumbai, Ahmadabad, Surat, Jaipur, Lucknow. delivery and track the goods. Hence, we ensures complete goods shifting to your destination with total safety anywhere in India. Rather than relocation services we provide additional services like mantling and dismantling of your furniture without any additional charges. During our line packing and moving we provide 100% insurance without any additional cost. One thing is that we do not hide any thing with our customer. So, beware of fraud packers and movers who gives lesser rates with hidden cost at deal and than while shifting your goods they show up their faces. Keeping in mind, We almost take care of all responsibilities of shifting your household goods and give the great deal of analysis for the higher satisfaction to our valuable client. And also are expertise in How to make your Sifting experience smoothly. NIPM is are totally committed in providing quality relocation management. We know what customer is required and expected from us, so we start our work management. Our motto is “Success in business when customer satisfies”. India’s One of the Most Leading Industry in Packers And Movers Service. Rank#1 in Providing Packing and Moving Service in Pune, Maharashtra. A Complete Household Goods Shifting, Bike/ Car Transportation Service Across All Over India. All Services at Cost-Effective, Affordable and at Reasonable Rates. NIPM Provides Complete Door To Door, Step By Step Shifting Services. Provide services with complete secure and on delivery each time, everytime. Have own and leased Branches Across All Over India. transportation service, bike transportation service, office relocation service, showroom shifting service, warehouse, storage and insurance services, air freight services, pet moving services, McDonald/Cafe Coffee Day relocations etc. Therefore, kindly fill up the inquiry form above with items/ requirements details , we will be answering you as soon as possible with competitive rates. Or For Instant Quote and URGENT INQUIRY please call us now on 09921316285/ 09028783996 24/7 with items description details with you. The most noteworthy service provider. 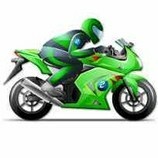 There are thousands of service provider in Pune but compare to others we are among one of the best. We have happily moved more than thousand houses with zero damage. Besides house shifting we transported more than 200 super bikes across India last year. 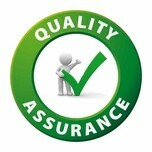 Rather believe in best we follow our professionalism to maintain quality forever. Finally at New India Packers And Movers in Pune, rather than providing incomplete service you will get all in one. Therefore a Complete One Stop Solution For Household Goods Shifting, Office Relocation Services, Packing And Unpacking Services, Loading And Unloading Services, Transportation Services, Warehouse And Insurance Services, Bike or Car Transportation Service Across All Over India is here.